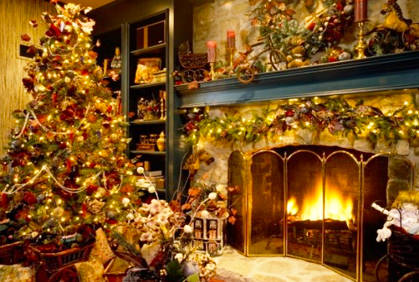 Holiday décor is a wonderful opportunity to have fun with decorating and liven up those year round interior designs. Popular Christmas decoration photos of 2017 often feature unique personalized elements that reflect your family’s personality and individual traits. For example, if you have young children in your family, get them involved in the decorating process and download holiday coloring pictures for them to put their creative stamp on. There are many sites that offer free Christmas pictures to color so find the illustrations that coordinate best with your seasonal motif. Once completed, use these personalized drawings as imaginative accents tucked into mantle greenery or string them together as a unique garland. What holiday home would be complete without a trimmed Christmas tree? A tree is the perfect element to tie together all seasonal designs and establish an overall theme. If you are unsure of where to begin decorating, check out our gallery of the best christmas tree pictures filled with fun and unusual ways to trim any size tree. Whether you are decorating a beautiful natural evergreen or a budget friendly faux option, there are a few key items to remember. If you are adorning the tree with lights, be sure to string them on branches prior to adding any other decorations. This ensures that all ornaments, ribbon and garland are lit with a lovely back glow. Next, if branches are thin or bare, use beautiful holiday garland and seasonal floral elements as filler to give it that fabulous lush look of designer trees. What better time of year than the holiday season to revamp your home décor with festive Christmas decorations to greet friends and family. Nothing will put you and your guests in the holiday spirit more than a magical winter wonderland in your very own home. 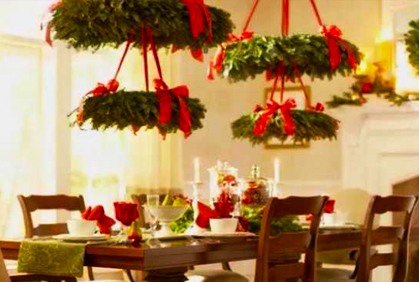 The right decor will set the mood for any holiday gathering, whether it be traditional elegance or casual whimsy. With the overwhelming amount of Christmas décor themes, ornaments, cards and holiday inspired decorative accents it can be overwhelming for the do it yourself designer to narrow down a motif and color palette. 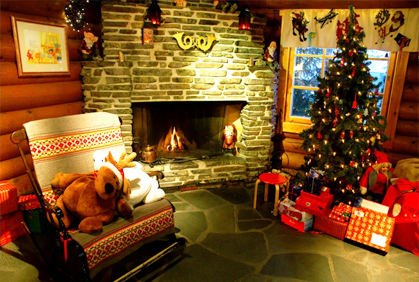 The most popular Christmas pictures of this season can be an incredible tool for those frazzled homeowners unsure of where to begin. 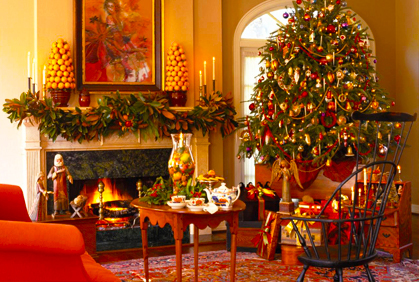 Tis the season to open your home remodeling results to friends and family for unforgettable holiday gatherings. Ensure that your dwelling is brimming with the Christmas spirit by decking your halls from floor to ceiling, indoors and outdoors with gorgeous festive decorative elements. Our latest online holiday showroom is filled with Christmas decorating pictures for free sure to provide inspiration for trimming your interiors. Beautiful xmas pictures help you discover the endless options for decorating the home, whether you lean towards a traditional old fashioned Christmas or are willing to experiment with unconventional themes and color palettes. Recreating the best Christmas picture ideas can be achieved on any budget with our helpful diy tricks and tips. 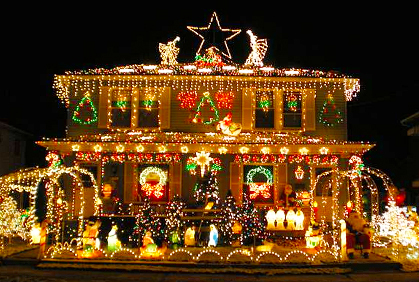 When decorating your home for the upcoming holiday season, do not forget about the exterior. Those curbside areas are the first to greet friends and family, so be sure that they are decked out with festive Christmas décor. The number of new and exciting items to trim your yard has absolutely skyrocketed in recent years. Gone are the days of plain white string lights and festive wreathes. Now, when browsing photos of outdoor Christmas lights and looking around your neighborhood, you will see anything from impressive lightshows and animated characters to large illuminated inflatables. If flashy light displays and oversized holiday décor are too much for your traditional tastes or dwindling budget, there are many great ideas for outdoor décor that embody a classic seasonal feel without emptying that wallet. 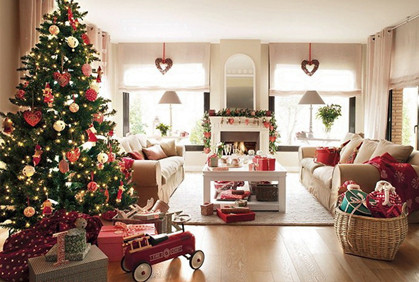 Decorating the Christmas tree provides a creative outlet to make your holiday décor your own. While browsing photos of Christmas ornaments you will notice that tree trimmings come in an endless variety of sizes, materials and motifs. This year, think outside of the box and personalize your tree with custom elements like handmade greeting cards hanging from ribbon as ornaments or a garland of family Christmas pictures strung together. This is a beautiful and inexpensive way to decorate your home, while also highlighting your family and reminding guests of the true importance of the holiday season. Another fabulous tree trimming idea utilizing unexpected and budget-friendly objects, is hanging mini Christmas picture frames on ribbon.